Sometimes dogs just aren't cut out for the Hearing Dog life. That's okay! These dogs still need loving homes. If you're interested in adopting one of these dogs, set up an appointment to meet them by calling 303-287-3277 or emailing info@hearingdog.org. I'm a one-year old, 52 lb. spayed female lab mix with tons of energy! I love to play, am super affectionate and crave attention. Though it may take me a while to warm up to you, I promise to be your forever friend! I am good with other smaller dogs, but not dogs my same size. 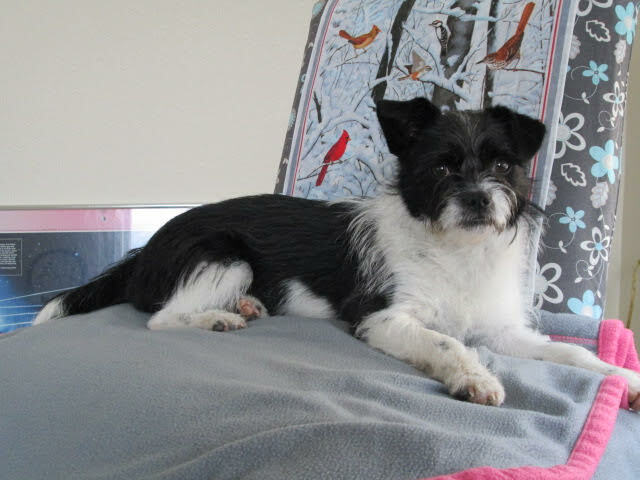 I am a 2 year old female terrier mix. I am a little shy at first but I love attention and affection once I warm up. I love to be with my people especially relaxing at home. I am also up for a good walk or adventure too! I get along great with other dogs as well.